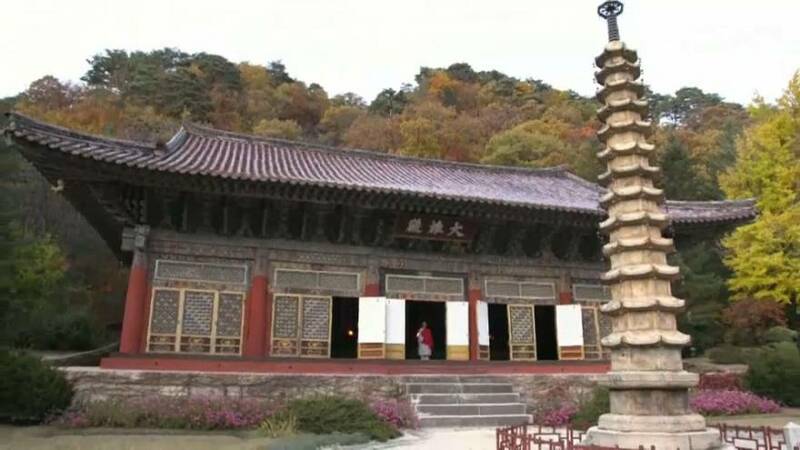 Hidden in the heart of North Korea, a staunchly atheist country, is something rarely seen by outsiders: a Buddhist temple, one thousand years’ old, which perhaps offers lessons for today. Pohynsa temple was bombed by the US during the Korean war. It is now such a peaceful place that violence seems a distant possibility. NBC’s Keir Starmer asked Kim Sol Kyong whether she worried that it would soon see another war. “That won’t happen because we are a nuclear superpower", she told him: “the US should wake up from its war dream”. In a country that discourages religion, the Pohynsa temple nonetheless attracts plenty of visitors. Inside, they find prayers to Buddha, and another belief, often expressed in North Korea, that their Supreme Leader will keep them safe. One monk said “Kim Jung Un will protect us. Sometimes its ok to kill if it saves more lives”, he adds, when asked about the nuclear weapons being developed by the country’s leader. NBC’s visit was closely supervised at all times by government minders: these are tense times in North Korea.